When my wife’s parents were downsizing in order to move to a smaller, more manageable home, her mother began drawing each of her children aside when they visited, and asking them if there was anything in particular they would like. She had more than the move in mind. She intended that certain pieces of furniture or other valuables would be henceforth designated for those who would appreciate them the most. My wife thought about this, and announced that the one thing she really wanted was “the applesauce maker”. 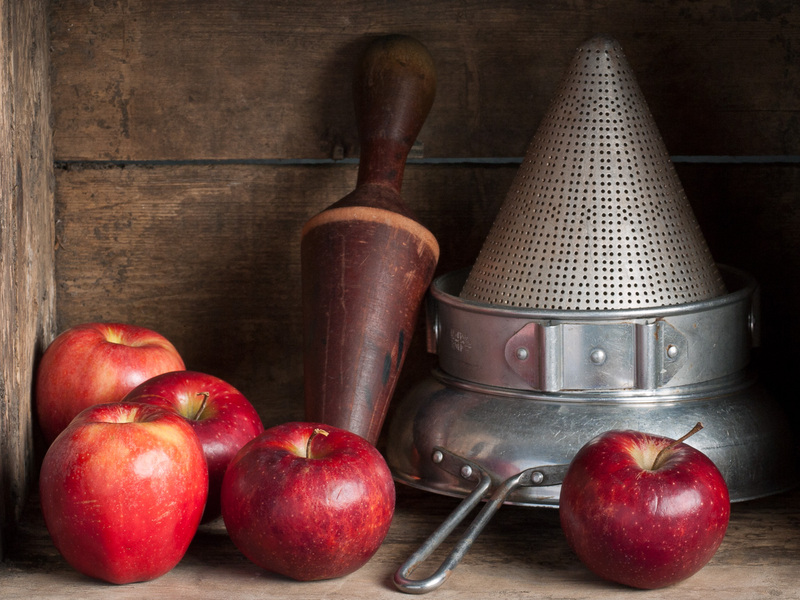 It’s really just a conical sieve and wooden pestle, but in her family it had always been used to make applesauce. And its value was in the memories that it held for her – memories of her family gathering apples from their plot of land near Nobleton, Ontario, and memories of her parents cooking apples and straining them for sauce. Oh, the smell! Oh, the taste! It was just one of those things that was done in her family, along with a large kitchen garden and her father making bookshelves and cabinets out of found and scrap wood. My wife and her siblings continue some of the practices and certainly the attitudes that they learned from their parents. Reduce, Recycle and Reuse comes naturally to them. And they have a keen appreciation of homemade and handmade goods. My wife was gifted the applesauce maker on the spot. and it still gets used in our household. To her, it is an heirloom – not priceless in any monetary sense, but priceless nonetheless. You MAKE applesauce? Impossible! Just kidding. Get it! I searched long and hard for my own such device, but Mom’s has always been the best. Great photo, great article. My very favorite images from you John, love the photo and the story behind it. Memories of the little things are what binds our lives together. Great job on your blog, enjoy. I have always enjoyed studying your photographs and now that you have these interesting stories to go with them, I will certainly be a frequent visitor to your blog. Nova Scotia seems to me your muse, bringing out the best in your photography.